Is it always the same person who sets up the hall before a meeting, and then mows the lawn and cleans the kitchen and the bathrooms? 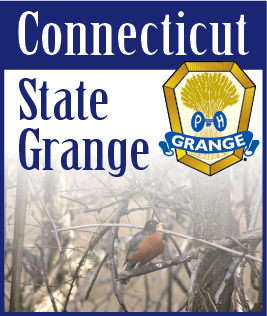 Then - is it that same person who writes the press release, makes the posters, and publicizes your Grange events? Many Granges find that oftentimes it is the same person handling all the tasks at hand. Sharing responsibility is important. Do your Grange leaders share the responsibility or do they just take care of everything themselves? “If I want it done, it’s easier to do it myself.” Many times members will not automatically step up and volunteer to take on a task unless they are specifically asked to do so for fear of stepping on toes or hurting others feelings. This is where delegation and sharing of the tasks at hand come into play. The first step is to know which tasks are yours to handle, and which tasks others can take on and achieve success with. Match the skills then present the task as an opportunity, not as an assignment. Never undermine, or underestimate, your membership. Develop ways to share the workload so that your Grange can reach its potential and grow its membership. In order for sharing responsibilities to be successful, there are a few steps that apply to all situations. No matter what stage of growth your Grange is at, one person doesn’t have to wear all the hats and perform all the tasks. Sharing responsibilities saves time, gains experience, encourages teamwork, saves money, develops leaders, motivates members, and may even groom a successor! Most important - sharing responsibilities prevents member burnout.